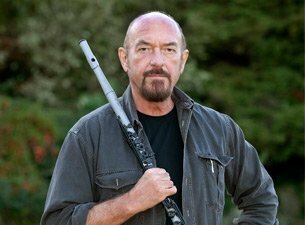 It was my privilege and pleasure to talk with Jethro Tull’s Ian Anderson about his new album, “Thick as a Brick Two” and his methods of writing, among other things, for Here and Sphere. Mr. Anderson is a remarkably articulate and erudite conversationalist. This is just a short segment of our conversation. I hope you in Boston try to see the performance at the Wang Theatre tonight ! Peg Aloi: First of all, I must confess that in 1983, when I was a sophomore in college, I dressed as you for Hallowe’en. I believe you had short hair at the time, but mine was long, so I opted to dress as you, circa 1977, that “Songs From the Wood” era. Ian Anderson: Oh, well, then, I suppose if I was a kind of pugnacious guest and given to outbursts of an informal nature, then in response to that the question has to be dreadfully obvious: did you get laid? PA: Well, I was dressed as a man, so….hmmm, I can’t actually remember! I guess I’d have had an opportunity to understand what that whole groupie thing is all about. IA: I don’t actually have much experience with groupies, as I don’t usually enjoy the post-performance social scene; I am that sort of party pooper who leaves after half an hour and goes back to my lonely hotel room to read a book. After all the years of touring I have done, that kind of wild party just seems like a really excessive evening that I have never been in tune with. It is nice to be on stage with the band, however. IA: That album is still mentioned as one of the most formative for many fans. It was a long time coming, and I had an interest in the contemporary folk music of the ‘60s and ‘70s. But it wasn’t until 1977 that we made an album that was strongly folk influenced, in the sense that it drew upon elements of culture and mythology which we set not authentically to English folk music, but used musical elements that would make those lyrics work. If “Thick as a Brick” is Jethro Tull’s progressive rock album, then “Songs from the Wood” is our folk rock album, if you want to go down that road. PA: So, once you began working on “Thick as a Brick Two,” you apparently wrote the entire concept album in about two or three weeks. 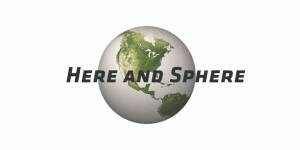 Why, after hesitating about wanting to do this project, do you think it all came together so quickly? IA: I do try to write quickly. When I am sitting down to write a whole album I do sit down to work every day and I simply get to work. There’s no point in hanging ‘round and waiting for the muse to visit you. You must get to work and look for inspiration, and happily, it comes. I had a deliberate deadline, and I’d start working at 9 am, at the beginning of January, and basically had it complete within a ten day period. And that is about how long it should take: in reality you come up with the bulk of the lyrics and then you write about four or five minutes of the music every day, and then you refine the ideas and work on the arrangements, and work on it to get it locked down. I suppose if you went into it and did not manage to write three minutes of music a day, I can’t see the point of continuing to do it. You just have to get to work. PA: You mentioned in an earlier interview that you think the music world has become more accepting of the progressive rock genre; I wanted to ask what you think of the progressive rock revival that seems to be going, or if you’re familiar with the Wyrd Folk movement or some of the efforts made to promote this kind of music in recent years, like Mark Coyle’s work with The Unbroken Circle or Woven Wheat Whispers, or bands like Pearls Before Swine, Fuschia, The Strawbs, or artists like Mina Doi Todd or Devendra Banhart or In Gowan Ring. IA: I would not exactly call it a progressive rock revival because that term is still a bit problematic. It’s a journalistic term really; in 1969 I did not have a problem with being in a progressive rock band, but some time around 1972 the term “progrock” became a word commonly used by critics to poke fun at bands like Yes or Emerson Lake and Palmer as a way of criticizing their rather excessive musical showing off. So that was part of what gave progressive rock a sort of dirty name. Then when punk came along in 1976 it sort of swept away the cobwebs of progrock and it went away for a time and it really took a while for it was treated with some dignity and affection again. That is not to say that those progrock bands did not play great music, but it was often underpinned by the need to to show they could play their instruments better than other people. It did take a while for progressive rock to become respectable again, and now you have a whole new generation of musicians in their 20s whose musical tastes are evolving, which s right and proper. The other day I tried to describe the more experimental music happening today and I decided the best definition was to say it’s music for people who get bored easily. Let’s face it, most pop music does get a bit boring, and many people want something more, so hopefully with the experimentation going on now they don’t need to look too far. “Whatever Happened to Gerald Bostock?” (Thick as a Brick 2), as well as “Thick as Brick” will be featured in Ian Anderson’s performance at the Wang Center, Boston, October 12. Tickets available via Stub Hub.